Once you have chosen your retreat, please read these terms and conditions, as your booking is subject to the terms listed below. A contract is entered into, once Outer Travels Inner Journeys Ltd. receives your booking form and deposit, and we accept and confirm the booking. In order to secure your booking, we require that a deposit is paid within 7 days of your reservation being approved. We use Retreat.Guru as our payment processor and you can pay by credit or debit card. We can also accept payments by International bank transfer (SWIFT) so let us know before booking if that is your preferred method of payment. All payments must be in US Dollars unless otherwise agreed. If you wish to pay an initial deposit then any remaining balance must be paid no less than 45 days before the start of the tour/retreat. We will send you an email reminder 60 days before the retreat starts with instructions on how to pay. While Outer Travels Inner Journeys Ltd. always strives to provide our guests with the highest quality service and with a travel and tour description that is as accurate as possible, by signing this agreement, the Client states that they understand and accept that changes in the itinerary, the accommodations and/or any other facets of their journey may occur due to unforeseen circumstances and/or events that are beyond the scope of our influence. Outer Travels Inner Journeys Ltd. reserves the right to make changes in the itinerary, the accommodations, the transportation services, the rates, or any other arrangements, if these changes are necessary and unavoidable. Outer Travels Inner Journeys Ltd. commits itself to provide reasonable substitutes for similar monetary values without compensation, but accepts no liability for a decrease in travel pleasure, if such changes occur. If and when changes occur during the preparation and/or at the time of the reservation, Outer Travels Inner Journeys Ltd. will inform the Client immediately. If changes occur after the reservation has been confirmed, Outer Travels Inner Journeys Ltd. will inform the Client as soon as is reasonably possible. If changes occur because of other reasons than those that are beyond our control, like war, threat of war, riots, civil strife, industrial dispute, terrorist activities, natural or nuclear disaster, fire or adverse weather conditions, technical or maintenance problems with transport, changes imposed by cancellation or rescheduling of flights by an airline, the alteration of airline or aircraft type, or other similar events, the Client will have the right and the possibility to make one of the following choices: a) accept the changes as they are applied by Outer Travels Inner Journeys, or b) purchase another, similar tour at a comparable value, or c) cancel the reservation and obtain a full refund. Outer Travels Inner Journeys Ltd. is not liable for any charges that may occur when changes beyond our influence and control are made in travel arrangements, such as time and/or date of departure; flights; or other forms of transportation. The Client is responsible for obtaining and possessing the necessary documents and certificates that may be required by the authorities of the countries we visit for the duration of the tour, such as there are; a valid passport, visa permits, proof of vaccination, as well as various prophylactic medicines, like anti-malaria tablets. Outer Travels Inner Journeys Ltd. provides detailed information about these requirements in good faith, but cannot take responsibility for the accuracy of the information. All Clients are required to determine if their physical condition is adequate for the requirements of the itinerary they wish to book for. Travelers who are older than 60 years of age may be asked to provide evidence of medical fitness to travel, before their reservation is confirmed. Outer Travels Inner Journeys Ltd. does not allow any underage person (18 years of age, or less) to travel with us, unless they are accompanied by at least one parent or legal guardian who accepts full responsibility for the minor. 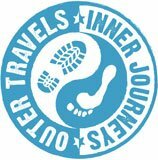 Outer Travels Inner Journeys Ltd. reserves the absolute right to decline any reservation on any grounds. Clients or prospective clients acknowledge and agree to accept the authority of Outer Travels Inner Journeys Ltd. staff and members of the management team, employees, guides, tour leaders and agents, while travelling with Outer Travels Inner Journeys. If any of these authorized personnel members determine that any Client engages in any type of disruptive behavior, challenging or threatening the well-being, safety, comfort and travel enjoyment of the other passengers, the Client may be excluded from the entire or the remainder of the tour. If and when this happens, the Client will not be eligible for a refund. In case the Client should become sick or incapacitated, Outer Travels Inner Journeys Ltd. will make all the necessary arrangements it sees fit to aid the Client in the best possible way. The Client will be fully responsible for the financial cost of any such arrangements. All passengers who take part in Outer Travels Inner Journeys’ tours, day trips, expeditions and all other kinds of adventure travel and events are obliged to obey the laws and regulations of the countries visited. Any failure to abide by these laws and regulations will result in the relief of all responsibilities and obligations that Outer Travels Inner Journeys Ltd. might otherwise have under the reservation agreement. At the time of making the reservations with Outer Travels Inner Journeys Ltd., the Client is required to present full disclosure of any medical, physical or mental disability they may be affected with, as well as any medical treatment they may be under and medication they are taking, and is fully responsible for doing so. Failure to fully or partly disclose any such conditions will constitute as breach of contract and will result in the exclusion of the Client from the tour, in which case all payments made will be forfeited. If and when travel by boat is included in the tour, the Client will be required to make it known to Outer Travels Inner Journeys Ltd. if they aren´t able to swim. Not being able to swim will not result in cancellation of the reservation, or exclusion from the tour, but will allow and obligate Outer Travels Inner Journeys Ltd. to take the proper safety measures to protect the Client from harm. Clients who take part in any tours and other events organized by Outer Travels Inner Journeys Ltd. acknowledge that they understand and accept that exposure to natural and environmental elements and an increased risk of bodily harm are an integrated and inherent part of the itinerary. The Client accepts and understands that taking part in these activities and events could result in personal physical and/or mental injury, paralysis, death and/or damage to personal property; that such risks are an integrated part of the tours and events they participate in and that they voluntarily and willfully engage in these activities and events at their own risk. The Client takes full responsibility for any accident or injury affecting their health, their physical and/or their mental condition and releases Outer Travels Inner Journeys Ltd. from any accountability or liability in the event of such accidents or injuries.